Our average tours last a minimum of 5 hours, which allows time for stops at 3-4 different wineries and/or breweries depending on group size, but we are always more than happy to accommodate your travel schedule. Each itinerary is fully customized based on your requests. Simply choose the vehicle that best fits your group size below. When you reserve online, you’re reserving a vehicle for a 5 hour wine tour with the ability to choose additional hours. There are no pickup fees within the city of Charlottesville nor for Wintergreen Resort. Charlottesville, Virginia, is the No. 1 tourist destination in the state and a winery tour is the perfect way to embrace the ambience that the city offers. Whether you’re a local looking for a day trip, or a visitor scouting out wineries/breweries, our private tours (non-shared vehicle) are fully customizable and designed to please, relax and enjoy. Our drivers are carefully selected for their knowledge of the area’s beer and wine offerings and their dedication to the highest level of customer service. This ensures that your tour exceeds your expectations. Kick back and relax! You’re in good hands. Step 1 – Reserve your vehicle above based on the size of your group. This is the most important step as our vehicles sell out most weekends! Step 2 – Once your vehicle is reserved, our concierge will contact you to help plan the best tour, assist with reservations at vineyards, and making the best use of your time. We have over 40 breweries, wineries, and distilleries in our area, we can go anywhere, and we’re here to help! Step 3 – Our guide picks you up, you relax, and we’ll insure you have a good time. 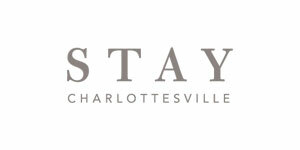 Stay Charlottesville is the luxury vacation rental management company in the Charlottesville area that offers the finest carriage houses to large estates. Call Monticello Wine Tour & Coach Co. to learn about the exclusive lodging packages offered with Stay Charlottesville. Sign up to learn about upcoming events and amazing deals on experiences around Charlottesville.